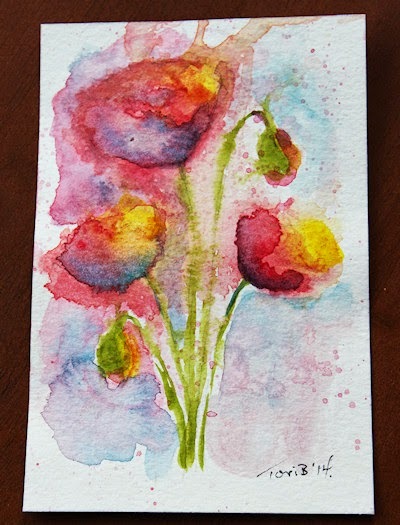 My first attempts at watercolor flowers, because, right this minute my garden is full of, among other things, sunflowers. I don’t think I’ll ever do them justice, but I’m willing to try. I’m pretty happy with the way they turned out and they’ve definitely inspired me to paint more. 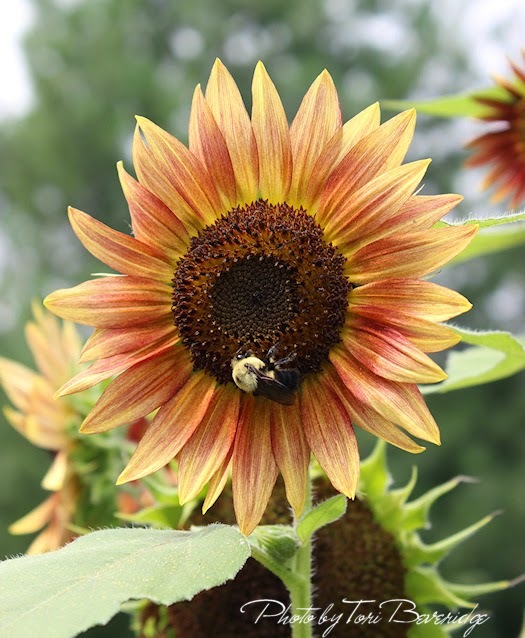 Posted in Creative Every Day, Paint Party Friday, Tori Beveridge and tagged floral, flower, painting, sunflower, Tori B, watercolor. Yes, very definitely do more flowers! Both are beautiful. These are gorgeous…yes you do them justice…. I love your style!! These flowers are amazing. 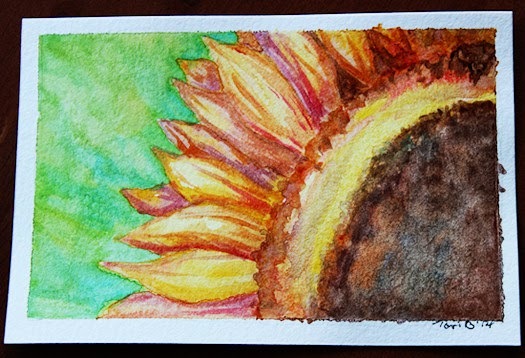 The detail on the sunflower is just perfect.